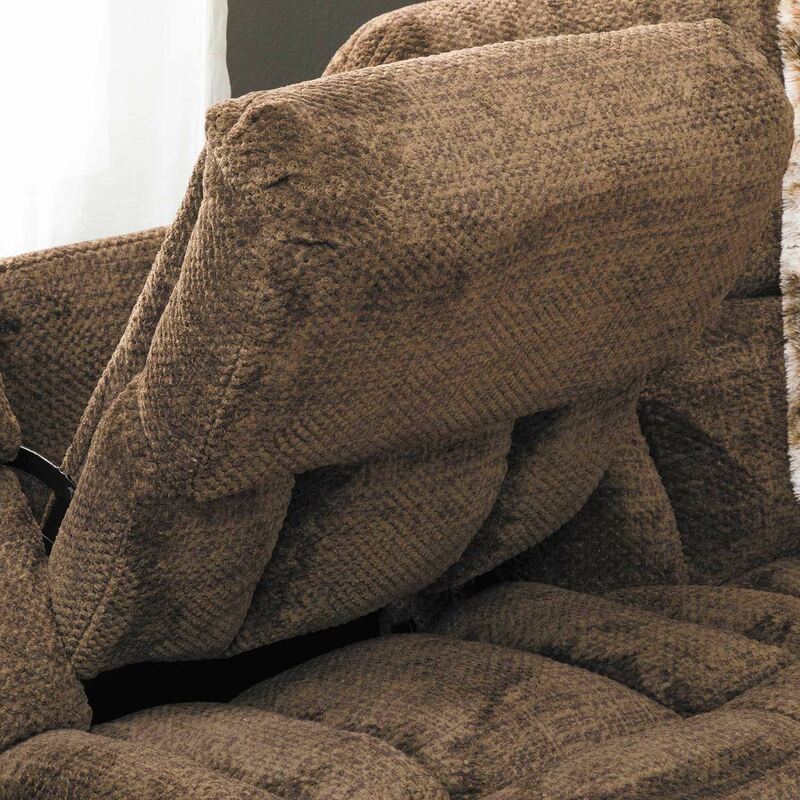 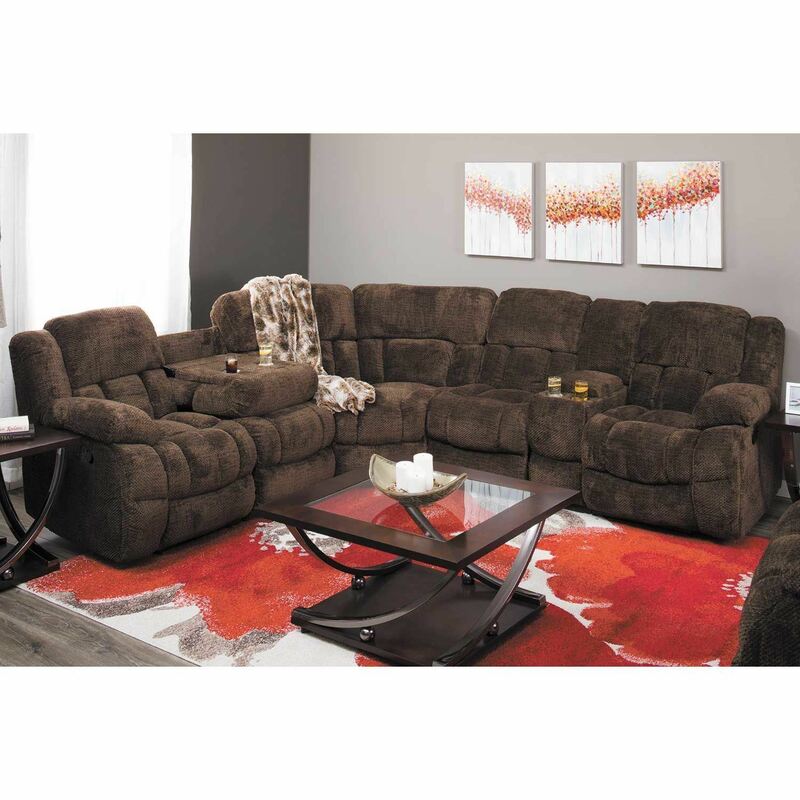 Create the coziest spot in your home with the Eldon 7 Piece Power Reclining Sectional by Vogue Furniture. 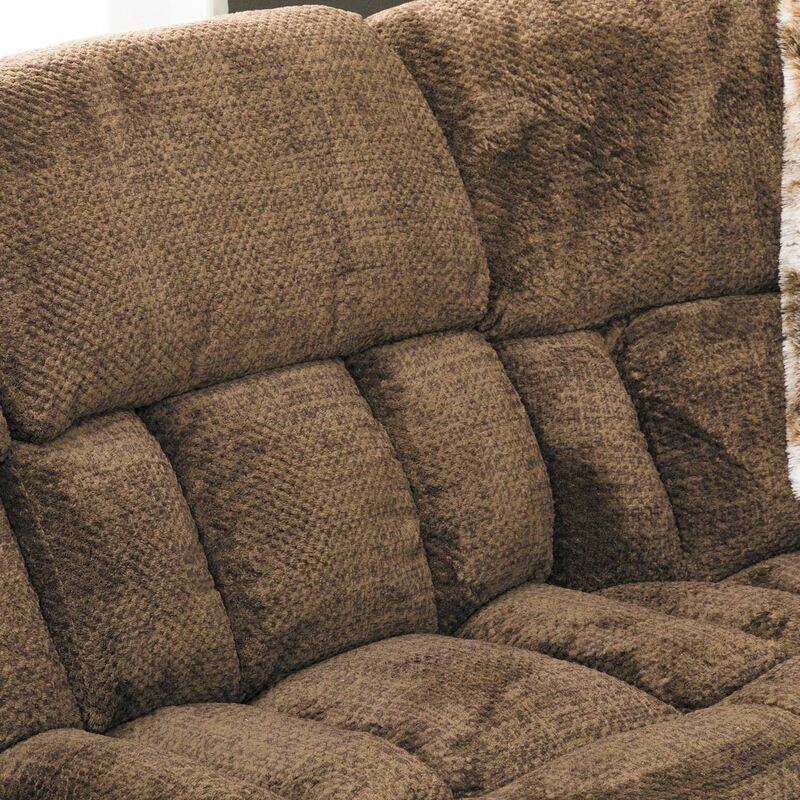 This generously-scaled reclining sectional features a plush seat and back as well as pillow top arms. 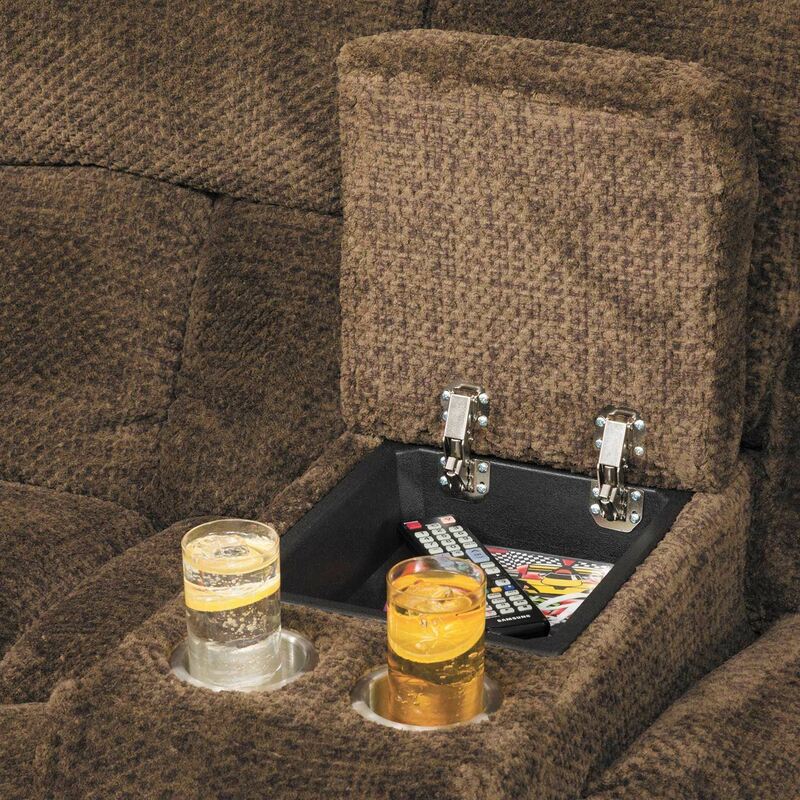 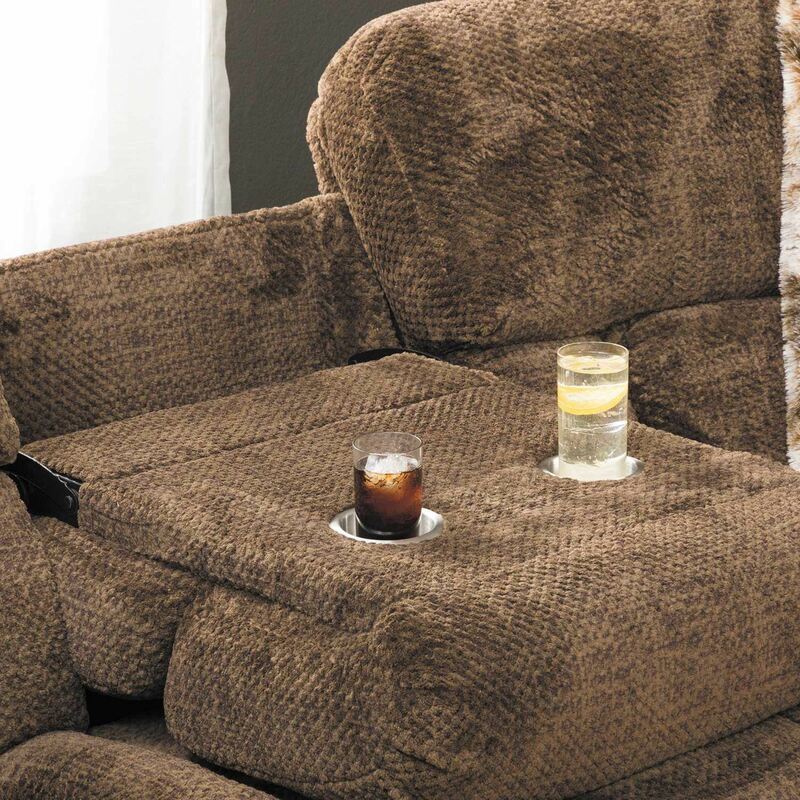 The soft, chocolate polyester upholstery works with the infinite comfort positions of the reclining seats to create a supremely comfortable seating experience while the storage console and drop down table add handy cup holders, storage, and a convenient table. 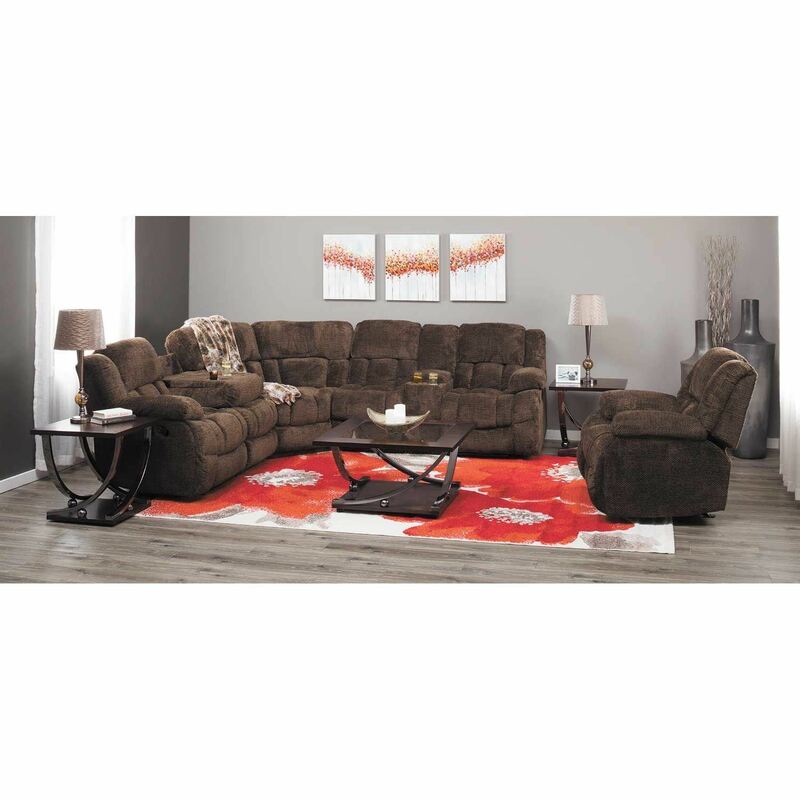 Create the coziest spot in your home with the Eldon 7 Piece Power Reclining Sectional by Vogue Furniture. 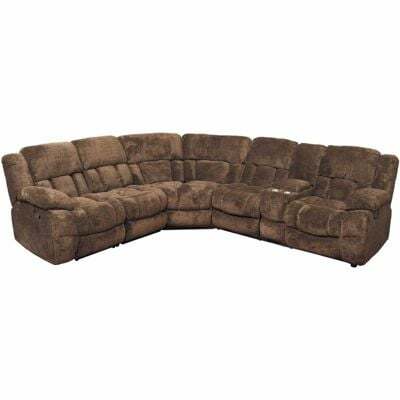 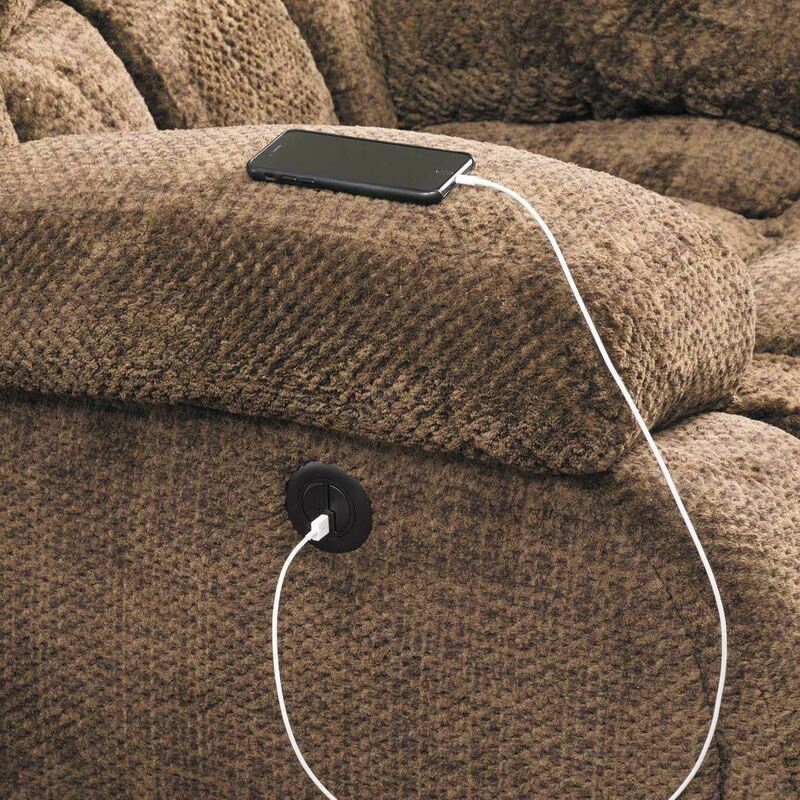 Eldon 7 Piece Power Reclining Sectional from Vogue Furniture. 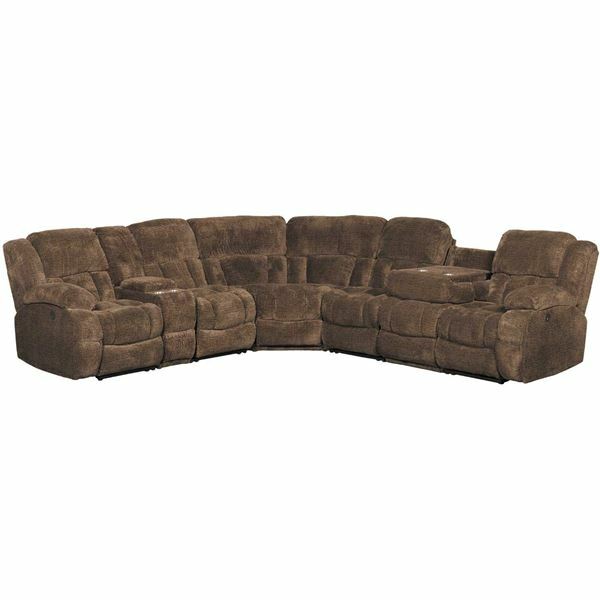 Features 2 power reclining seats, 2 armless recliners, 1 armless chair with a drop down tray, 1 wedge and 1 console with cup holders.